There is nothing new about community led housing – The first alms houses date back to the 12th century! In more recent times housing co-operatives and charitable trusts have operated for decades, owning and managing housing for communities. The term ‘community-led housing’ is commonly used to describe homes that are developed or managed by local people, in not-for-profit organisational structures. There are a range of models that can be adopted including self-help housing, co-housing, co-operatives and tenant controlled housing, Community Land Trusts (CLTs). A well-known example in Norfolk is the Homes for Wells project which was set up with the aim of offering priority low cost housing to local ‘key workers’ in the Wells area as a priority. 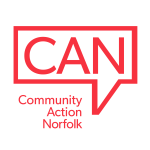 In 2016 the government released £60 million to invest in community Led housing and about £9 million has been allocated to Norfolk. Breckland, Gt Yarmouth, Kings Lynn and West and North Norfolk will all receive a share. This represents a major opportunity to develop solutions for your community. Think it’s not for you? Think again – more than 1,300 registered charities own, manage, support or deliver housing services across England and Wales. There are about twenty Community Land Trusts in the UK and more than 700 housing cooperatives. All are led by local people who had an idea. We can help you find the right legal structure, identify funding, manage consultations, find partners, and provide training for members, committees, trustees and the local community. So, whether you already have property that you want to develop for your community, are looking to buy or just a have that special idea, give us a call. Locality: Understanding the potential of small scale community led housing.